The Kaimai tunnel is a railway tunnel that cuts through the Kaimai Ranges, just out of Matamata, Waikato, New Zealand. It was built in the 1960s to 1970s to give rail traffic a shorter travel to Port Tauranga and is the longest railway tunnel in New Zealand, stretching up to 8.9km. In September of 1964 after more than 20 years of pressure, Cabinet approved the proposed building of the Kaimai tunnel but it wasn’t until 1969 that construction began. The Ministry of Works and Development began digging at the site in January of that year. For the construction of the Kaimai tunnel they purchased a Tunnel Boring Machine (TBM). It was the first time in New Zealand a tunnel was constructed using a tunnel boring machine (TBM). 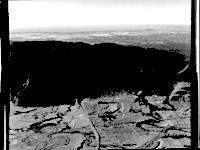 Work began on the west side of the Kaimai ranges but they soon had to reconsider their methods as the earth at the site was found to be filled with loose clay, gravel, silt and weathered rock. To continue making the tunnel they had to change to use a Jarva MK21 tunnel boring machine. However, they struck more problems as they realised that the steel tubes they were gradually laying for the tunnel were sinking well below the expected level and some effort was required to try and address this problem. On Tuesday 24th February, 1970 the Kaimai tunnel collapsed trapping 12 people. Four people died that day (their names were) Peter James Clarkson 21 years of age, New Zealand; Alfred Leighton, Matamata, New Zealand; Donald Alexander McGregor 31 years of age, Australia; and James Smart 28 years of age, Scotland. The Kaimai tunnel was finally opened in 1978 by the Prime Minister at the time, Mr Muldoon on 12th September, 1978. In 2014, there are up to 22 weekday freight train movements through the tunnel and around 19 freight trains on weekends. The tunnel floor however, has again started to move and slowly crumble. The repairs, it is estimated, will cost Kiwirail around $2.2million. The Kaimai tunnel is no longer used for passenger trains for reasons that are not known.